Bothers your dog your neighbors constantly? They complain about the night barking and howling? Cries your dog for apartment door whenever you go away? Anti-barking collars are the right solution. He would rather take a quality and reliable anti-barking collar that will see him even without your presence. 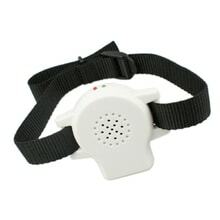 We have prepared the best anti-barking collars from leading manufacturers. You can choose them according to the size of the breed, feature type or brand. 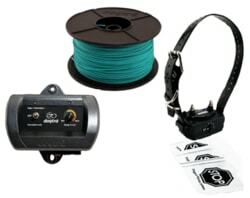 We have proven especially anti-barking collars PET853, AT-219A or PET850. What is an anti-barking collar? The principle is simple antibarking collars like other electronic collars operates on the basis of several types of signals that the dog point to inappropriate behavior. Once a dog starts barking or howling, anti-barking collar activates and sends a signal. The first time the dog alerted mostly sound. If not obey, followed by vibrations. When the barking doesnt stop after this warning, it activates an electrostatic impulse which notifies the dog consistently. Pulses are adjustable according to the size and sensitivity of the dog. Anti-barking collars are supplied for the smallest, small, medium and large breeds. Anti-barking collar advantage is that the barking dog admonishes even without your presence. When to buy anti-barking collar? 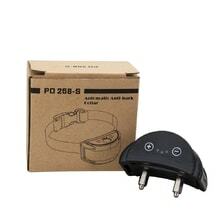 Anti-barking collar hesitate to buy when your dog barks, howls, yelps and void and its surroundings. 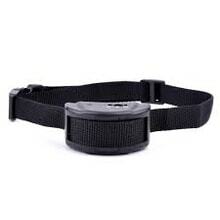 Anti-sagging collar dog will help rectify and settle relations with neighbors. You can choose different kinds of anti-sagging collars, which are suitable for small and large dogs. It is a friendly technology which becomes a kind of extension of your hand by the time you leave home. No longer will you have to jerk back if you find a message on the door that your dog several hours barking disturbed the whole house. Anti-barking collars can be selected at once by several parameters. According to the breed you choose the appropriate type of electronic collar designed for very small, small, medium or large dogs. It does not depend on whether you have a German shepherd, malamute, chihuahua and terrier. Anti-barking collars can choose as other products by brand. 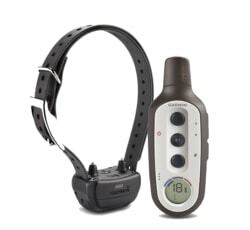 Our favorites of the most well-selling anti-barking collars include Aetertek, Petrainerand PetSafe. Finally, the anti-barking collar can also select the type of correction: sound,vibration, spray, ultrasound nebo electric. You can choose course from other kinds of devices intended to barking dogs. The most common variant is barking collars that can be used for small and large dogs. Are designed for home use in the home and garden. Another kind is called. Anti-barking units. It is a device that easily eliminates barking and howling dog in the garden and in the house. Finally, you can buy collars and howling. 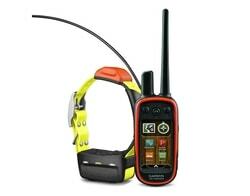 Choosing the right electronic collar is important. Every dog is different and suits him something else. Therefore, we have prepared a unique offer! 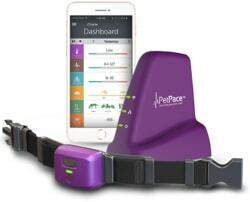 Not only will assist you with the selection of the electronic collar , but you have a whole one month of trial period! Unless the collar is not suitable, replace it! Anti-barking collar for dogs is an advanced training aid that is completely safe and correct use of the animal can not hurt. Anti-barking collars popular with professional cynologists worldwide and has its proponents and opponents. It is important to choose the appropriate type for the breed and learn to use it well. Each tool can be dangerous if you do not use it with discretion, forethought, and follow the instructions. The same is true for anti-barking collars. 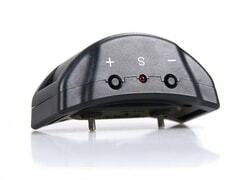 Anti-barking is an electronic device that can automatically detect barking and howling dog. If the dog barks or starts to howl, collar activates and notifies the dog usually sound, or by vibration, and if the dog stops barking, followed by the correction pulse, which by nature of the collar may be vibration, spray, ultrasonic or most electrostatics. The success of the anti-sagging collars is almost 100%, the dogs are very smart and soon realize the connection between his barking and activation protištěkacího collar. With what will anti-barking collar help me? to prevent undesirable and excessive barking, howling or whining dog in the apartment when leaving a job, etc. effective unlearning dog barking at people, cars, bicycles and other dogs when walking outdoors or in the garden. or unlearn unwanted barking or howling dogs of your neighbors. Electronic collars investigated by the Central Commission for Animal Welfare, which, among other things. Said: "The so-called Electronic collars have undergone in the last 8-10 years of tumultuous technical developments and they have almost nothing in common with their predecessors, which used a much greater intensity of electric power and completely, or almost completely, were lacking any regulatory elements. For reasons of animal welfare and unification of standards were established by the International Association manufacturers of electronic collars (ECMA), which deals with this issue thoroughly, and in addition to its own research also commissioning studies expert and scientific workplaces. 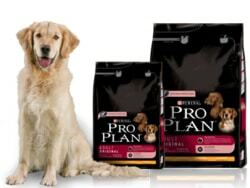 Today's modern products from reputable manufacturers, associated in ECMA, fully respect the gentle treatment of animals, and their use in many cases helping to replace some of the traditional methods of dog training that can be to animals much less considerate. " When to start using an anti-barking collar? Electronic collars are recommended for use from 6 months. Carefully read the instructions from the manufacturer. Select the appropriate pulse rate (the dog should react on impulse, on the other hand, should not be for him too painful - like a whimper.). Collars usually offers various levels of warning (beep, vibrate, pulse). The dog will very soon realize sequence of signals, so then you just use the sound, eventually. vibration signal. For what sizes and breeds of dogs is collar appropriate? A very important factor when choosing efficient electronic training collar is the size and breed of your dog. If the weight of your dog from about 5 to 50 kg, it will be most effective training collars enough. The problem with the selection, however, comes when your dog among the mini breeds, or vice versa between breeds extra large. On the small breeds could be the impetus for some collars too strong or receiver collar for its size completely inadequate. For large breeds, indeed, the collar will not have sufficient efficiancy. If the dog is at the top weighting interface usability collar or your dog are among the breeds with a low threshold of pain (usually fighting breeds), it is always better to buy such a collar, which has sufficient reserve capacity. When a crisis (mainly instinctive behavior of the dog), it is necessary to envisage the use of corrective stronger correction than the normal use of the collar. What range of the collar should I choose? Another important feature when choosing a collar is operating distance of collar. A typical range of collars is sold from 200 to 4000 meters. If you can not decide what to choose, it is appropriate to take into account when selecting the following factors: location and terrain where your dog moves: If you move often in rugged terrain (or forest), it is advisable to choose training collar with a longer range. Featured range with collars is always in ideal conditions, ie on a plane without obstacles. In the rugged wooded terrain or naturally reach significantly decreases (due to the propagation properties of radio waves). Method of Use: Longer range will need a hunter in the woods or a user who runs a dog regularly for the game. 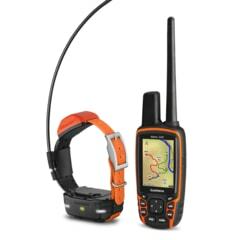 For normal use of most users, especially if you want to use a training collar rather to call the dog, warning or seeking attention, you very well and collar with a range of up to 350m. Another very important feature is the resistance against water. Most often you encounter these water resistance. Without protection: it is not protected against water system has to be kept in a dry environment. Waterresistant: Receiver is only resistant to weather conditions (snow, rain) Waterproof: Receiver is resistant to moist environments and can be submerged in water. What kind of power is used by the collar? Power of the collar is a very important factor when choosing who should not be underestimated. Especially cheaper models training collars are most often powered by an ordinary 3V, 6V or 9V battery. 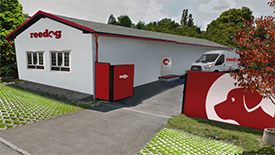 The price of these batteries is roughly 50 to 150 CZK and it is therefore appropriate to take into account when choosing a collar and operational costs, which can reach up to several hundred per year. Some training collars are even used atypical batteries that bad hustling or batteries supplied by the manufacturer, which can be bought only from the manufacturer or seller of the collar. For this reason, we recommend that rather collars that are powered via built-in battery that recharges easily via a USB cable or a network. Is the control of the collar easy? For effective use of training collar it is also important to control it. The easier controls training collar offers, more comfortable, more agile and therefore more efficient collars are. The most convenient is, if a collar and its every feature has custom button. This eliminates the annoying switching between functions that resides. 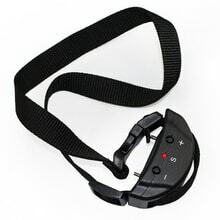 Collars with these controls are suitable for all activities, especially for a dog running away for the game when you need to react very quickly and call the dog before it leaves range of the collar.